TerraCom has announced an upgrade in marketable reserves at the Blair Athol thermal coal mine in the Bowen Basin region of Queensland to 23.5 million tonnes. Fitzroy Australia Resources is using a different method for sourcing the right workers at its coal projects in Queensland. BHP Billiton Mitsubishi Alliance (BMA) has welcomed a large intake of local apprentices to sites across the Bowen Basin, Queensland. CIMIC Group has won a $90 million contract with Australia Pacific LNG to deliver over 300 coal seam gas wells in the Surat Basin, Queensland. CIMIC Group has cited its mining contracts as a key factor in the company’s growth throughout 2018. National Group has started 2019 in the same way it finished 2018 by delivering a pair of excavators into Queensland’s Bowen Basin. CIMIC Group company Sedgman has been awarded a $155 million minerals processing contract at QCoal’s Byerwen coal mine in Central Queensland. CIMIC has moved into 2019 with a strengthened order book of work in the coal mining industry. 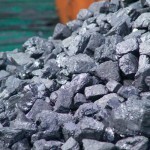 India’s Adani Group plans to fund the entire Carmichael coal mine and rail project in the Galilee Basin in Queensland itself, Adani Mining chief executive officer Lucas Dow has revealed. The board of Stanmore Coal has turned down Golden Investments’ $240 million takeover bid, calling it “inadequate”. Nepean Mining will design and deliver key equipment and infrastructure at Fitzroy Australia Resources’ Ironbark No. 1 coking coal project in Queensland. The Queensland-focused coal miner is the target of a $240 million takeover offer from a subsidiary of Indonesia’s Golden Energy and Resources. Anglo American’s Moranbah North operation has been recognised as SEW Eurodrive Coal Mine of the Year at the Australian Mining Prospect Awards for the fourth time. The coal mine’s commitment to delivering an efficient minerals processing plant has played a big part in the turnaround at the mine. NRW Holdings subsidiary Golding has inked a contract with Fitzroy Australia Resources for works at the Ironbark No.1 coal mine in Queensland. 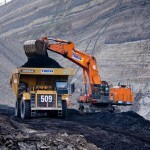 Peabody Australia has reached a 20-year milestone at its Coppabella coal mine in central Queensland. Greyhound has secured a five-year renewal of a contract to provide coach services in the Bowen Basin and Olympic Dam to BHP and its joint venture partners. National Group’s heavy transport solution business, National Heavy Haulage (NHH), has delivered five ultra-class Liebherr T 282 C dump trucks to BHP’s Peak Downs coal mine in the Bowen Basin, Queensland.